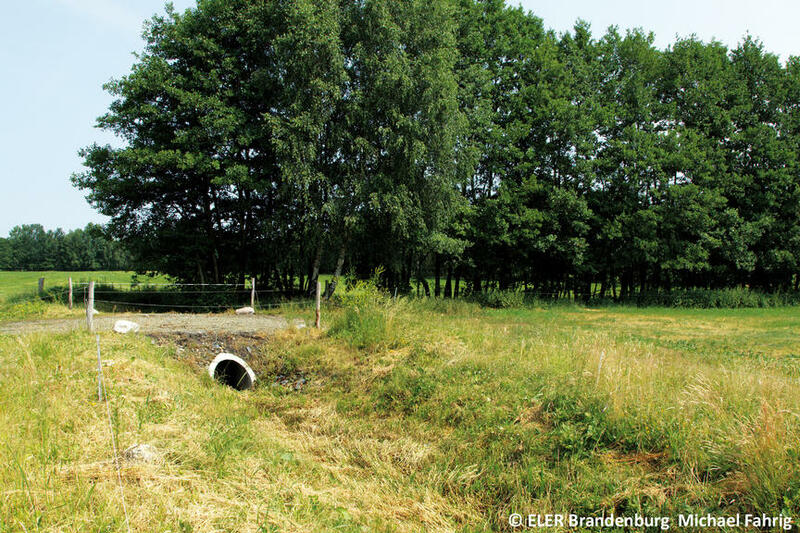 This project sought to improve the ground water balance through modernizing the rift systems, and thus improving the agricultural conditions and well as the habitat for numerous species in Brandenburg's Böllrich meadows. 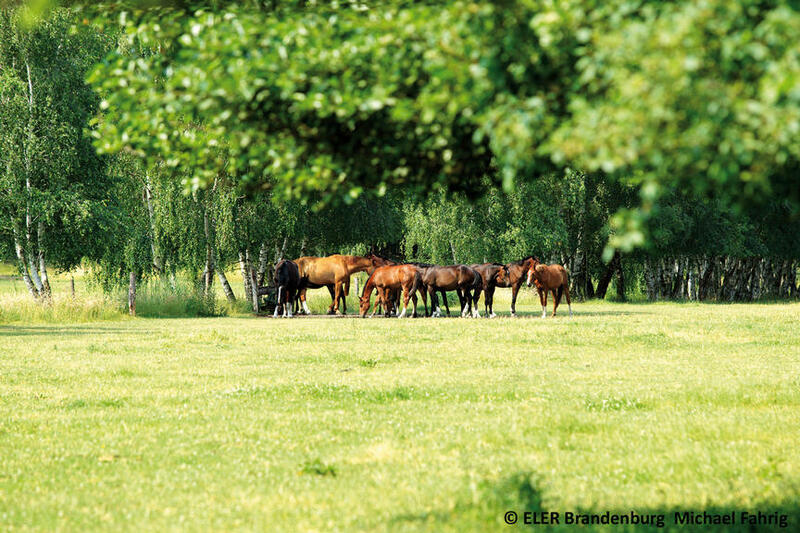 The area of Böllrich meadows is dominated by agriculture, with grassland used mainly as pasture. It is highly dependent on a functioning system for the stabilisation of the ground water level. However, the rift system had not been operational as expected, causing the water to accumulate into huge mud holes, thus making the area marshy and destroying the natural habitat for numerous plant and animal species. 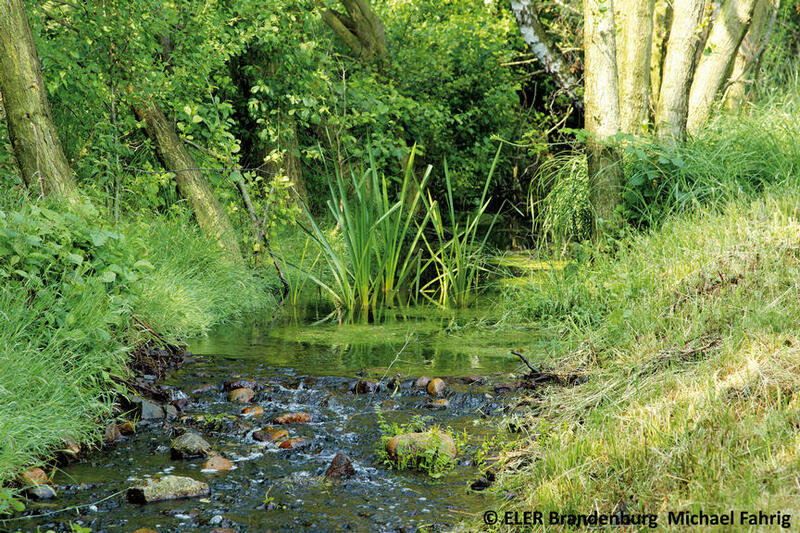 The project aimed to stabilise the water balance and increase in the ground water level. This should contribute to improve conditions for agricultural production and the quality of the habitat for animals and plants. The restoration works were carried out on the entire lenght of the river network (3,765m). With the dredging of 60-80 cm mud and the establishment of the so-called support thresholds the water has been stabilised (support thresholds are fixed small dams, that acumulate water up to about 1m and in a cascade form). As a result of the project the ground water level has been stabilised: In the area of ​​the thresholds sufficient gradient ensures a good flow rate of the water. Less congestion is accumulating and is washed away more easily. This benefits the region's agricultural production: In the new system, more oxygen is delivered and thus more life flourishes in the trenches (small fish, ducks, crayfish and other kinds of vegetation). The restored riverside integrates harmoniously with the landscape. The new crossings and the support thresholds are comparatively maintenance-free and benefit the ecological environment.